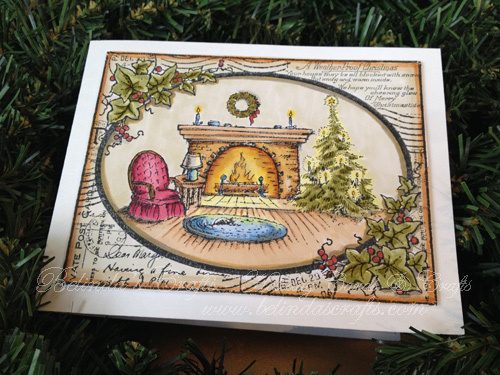 Good morning and welcome to day six of my 12 Days of Holiday Cards and Crafts! I am so happy. I had an amazing weekend. 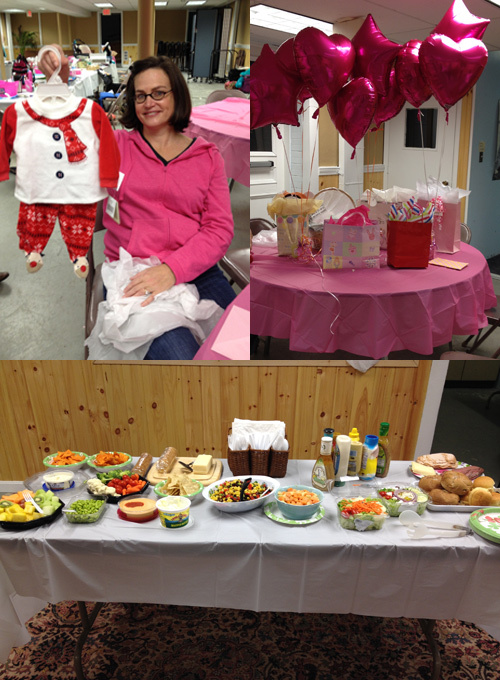 I spent all day Saturday and evening with my amazing girlfriends for a crop and Baby shower for my friend Ashley. Oh it was so much fun and the food…oh the food.. so much goodness. Two crock pots that were filled with our lunch and dinner meals. We had music, balloons and tea with yummy desserts. The best part of all was meeting baby Rosie. Oh, when I held her it pushed that little happy button inside me and reminded me of how sweet the feel of a sleeping baby is in my arms. 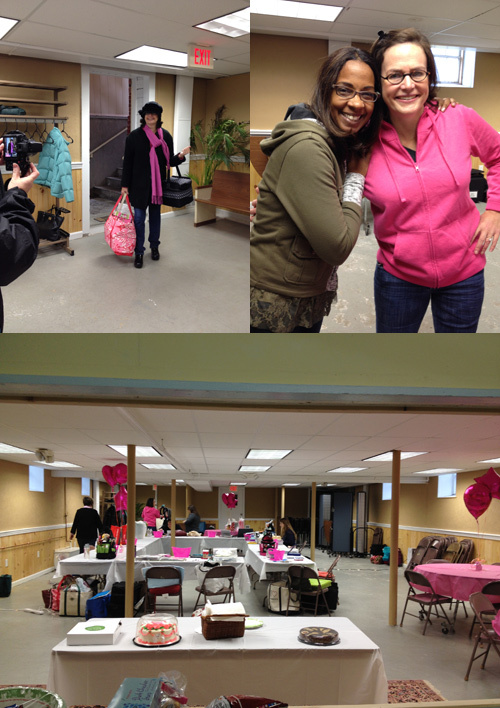 It was a cold rainy day so what better way then to spend it with close friends working on our craft projects. For any of you that haven’t subscribed to this blog, you can do so by going to the right side of this screen and scroll down a bit. I encourage it because, as much I would like to say my posts will be up promptly at 9am, that’s not gonna happen all the time. But if you subscribe, you will get an email as soon as I post it. Enough shameless promotions here and onto my card for today. So today’s card is just what I need today. Very faint snow showers are occurring with 21 degree temp. Yuck. 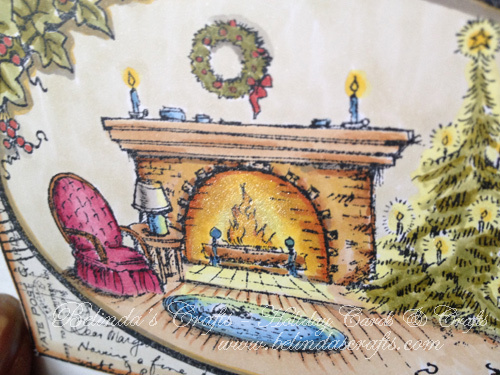 So this card which I call ‘All Warm and Cozy’ is perfect for today. I knew I had to have this stamp. It’s another Stampendous stamp and I stamped it and then colored it with my Copics and then mounted on a side folding landscape card base. I didn’t feel the need for pattern paper. I have a philosophy that if the image has a lot of detail coloring and requires more effort, then I don’t want to take the focus away from it with too much stuff. This image reminds of this Inn I go to once a year with my girlfriends to work on our crafts and have ‘girl time’. They have a lot of fireplaces and you can sit down and look out the window or read your book. So perhaps that’s another reason this stamp made its way into my shopping cart. I used Wink of Stella on the fireplace to make it look like a crackling fire. I zoomed in and hope you can see it on the photo. I simply love this image and plan on using it for more projects. 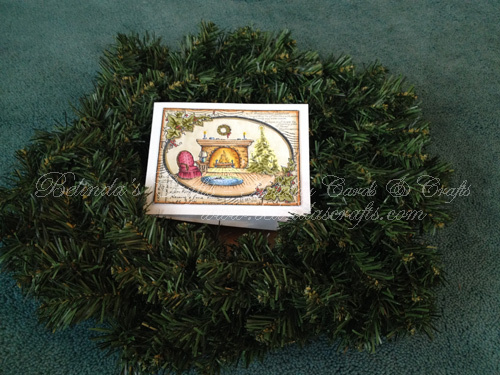 I used the same wreath prop as before to display the card. I hope you enjoyed this post and I need to go get cracking on another project so I will have something for day 7! I am so glad you could me the crop! It was so fun to celebrate Ashley and little Rosie! Your card is beautiful and yes, you can see the Wink of Stella! It was fun and I look forward to the next one. A very special day! I am so lucky to have such amazing women in my life! Rosie is lucky too!